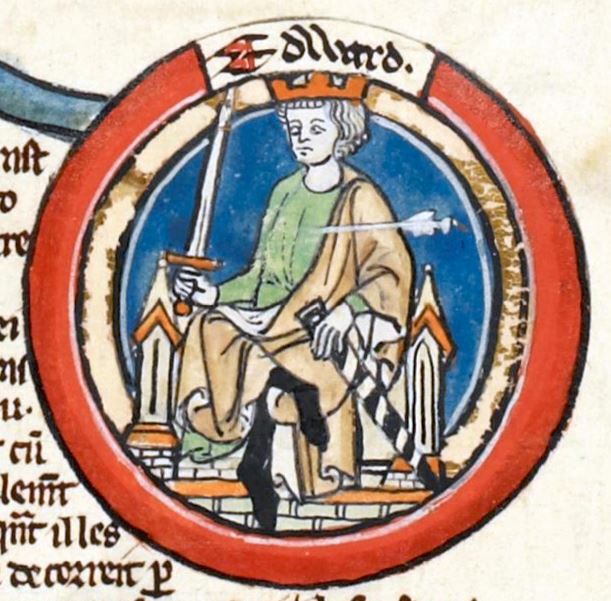 Edward was King of England from 975 until he was murdered in 978. Edward was the eldest son of King Edgar the Peaceful but was not his father's acknowledged heir. On Edgar's death, the leadership of England was contested, with some supporting Edward's claim to be king and others supporting his younger half-brother Æthelred the Unready, recognized as a legitimate son of Edgar. Edward was chosen as king and was crowned by his main clerical supporters, the archbishops Dunstan of Canterbury and Oswald of Worcester. The great nobles of the kingdom, ealdormen Ælfhere and Æthelwine, quarrelled, and civil war almost broke out.